Clarks Creek is a popular stocked trout fishery which also supports a fair number of wild brown trout and, to a lesser degree, some wild brookies throughout most of the 31-mile journey to the Susquehanna River from its origin near Tower City. 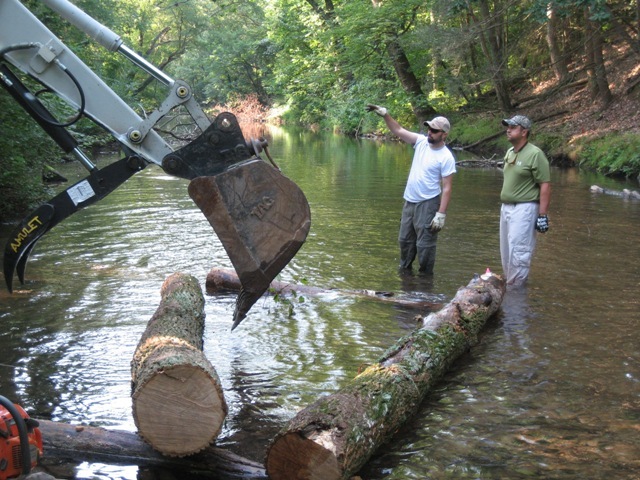 The heavily forested nature of the watershed in conjunction with the bottom release design of DeHart Dam provides adequately cold flows to support a year-round trout fishery on Clarks Creek. 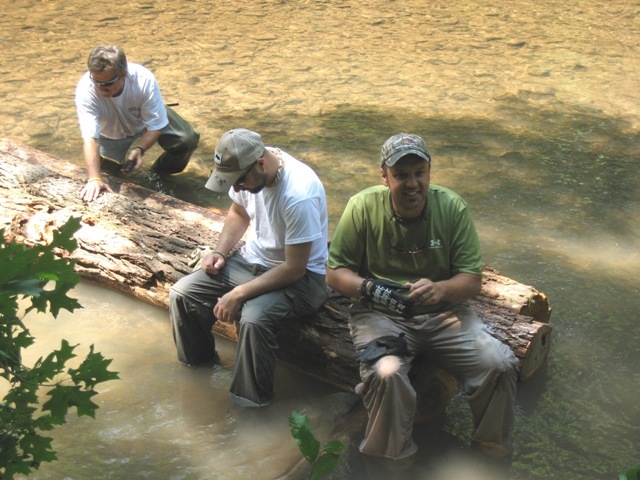 Since there are no major tributaries over the entire length of Clarks Creek and stream flow in the lower section is controlled through a “conservation release” from DeHart Dam, the stream rarely spills over its banks. 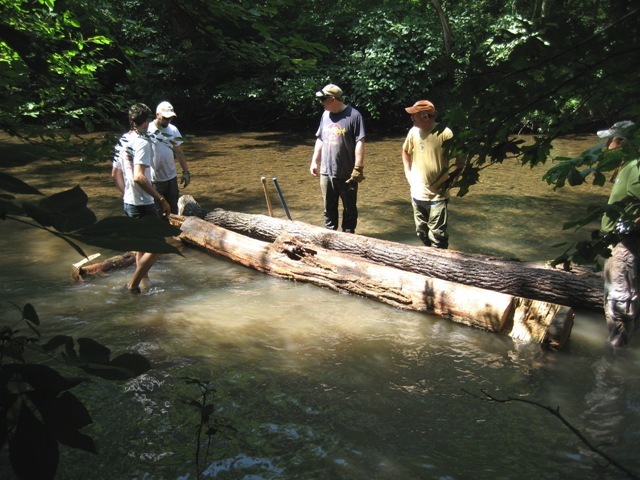 This relatively constant flow regime has served to minimize bank erosion to the point that over the years very little remediation work has been necessary to preserve good stream habitat in Clarks Creek. 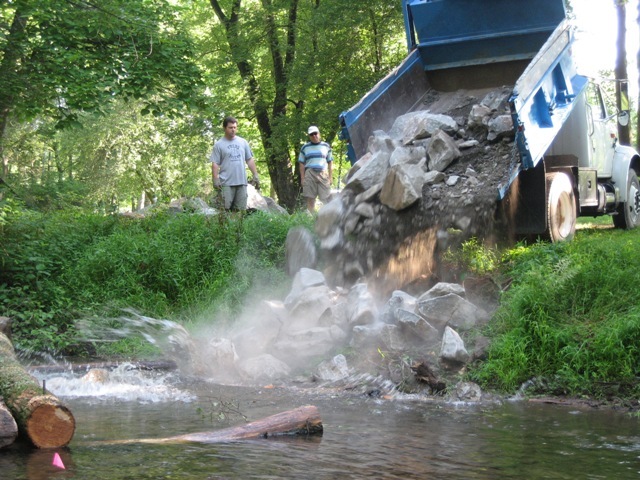 In 2010, the chapter embarked on a multi-year project to build log & rock deflectors and place random boulders in a section of Clarks Creek just below the SR 225 bridge. 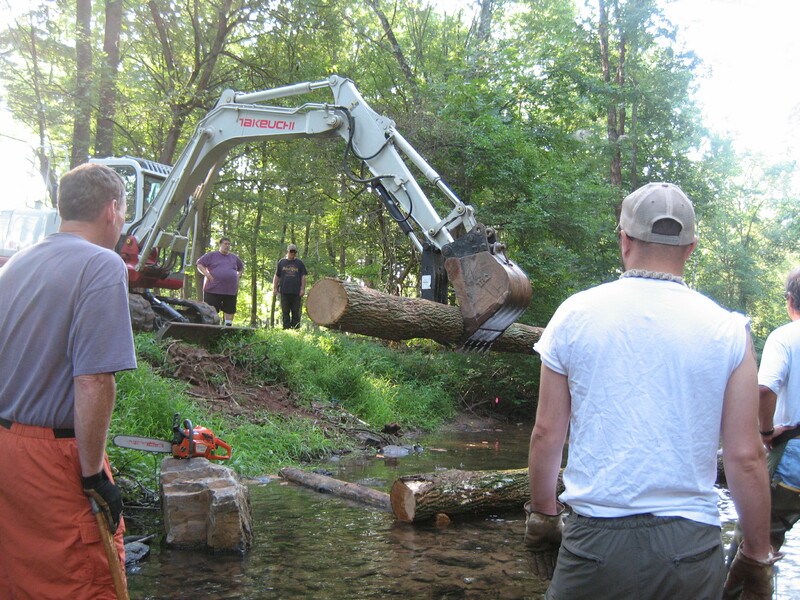 This project work was carried out using funding from PFBC’s Adopt-a-Stream program. 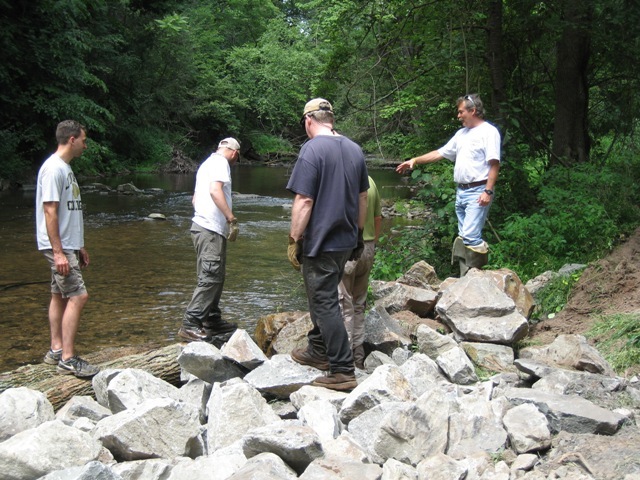 In 2015, additional stream improvement work was carried out in conjunction with the Dauphin County Anglers and Conservationists (DCAC) in the children’s and disabled access area just upstream of the SR 225 bridge. 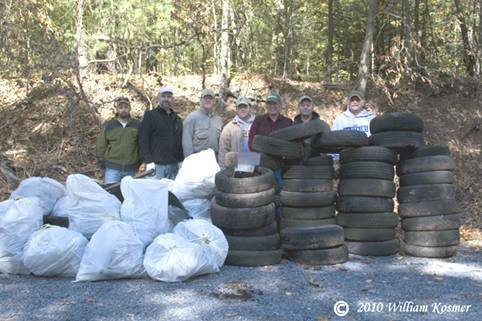 As part of PennDOT’s Adopt-a-Highway program, the chapter is responsible for trash cleanup on the 2-mile stretch of Clarks Valley Road bordering the Fly Fishing Only section of Clarks Creek. 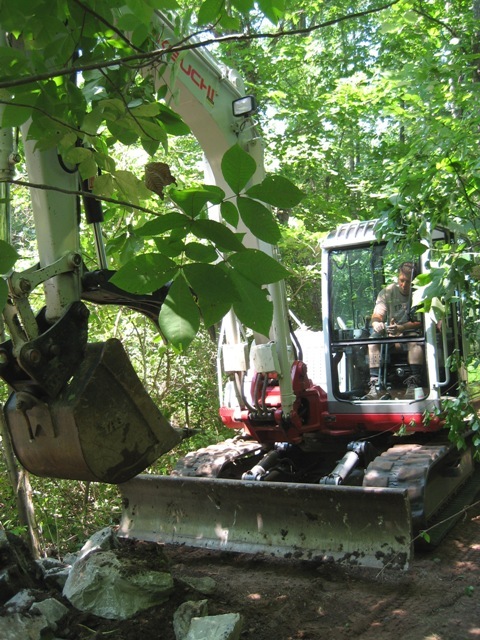 And each spring since 2012, chapter volunteers have been planting white pine seedlings furnished by the PA Game Commission in an effort to compensate for the loss of native hemlocks to a devastating woolly adelgid infestation. 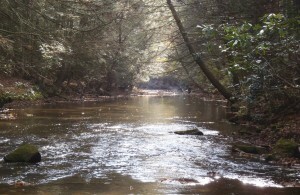 The Dauphin County Conservation District’s Conservation Plan for the Clarks Creek Watershed can be viewed at http://www.dauphincd.org/water/Clarks%20Creek%20CCP.pdf. 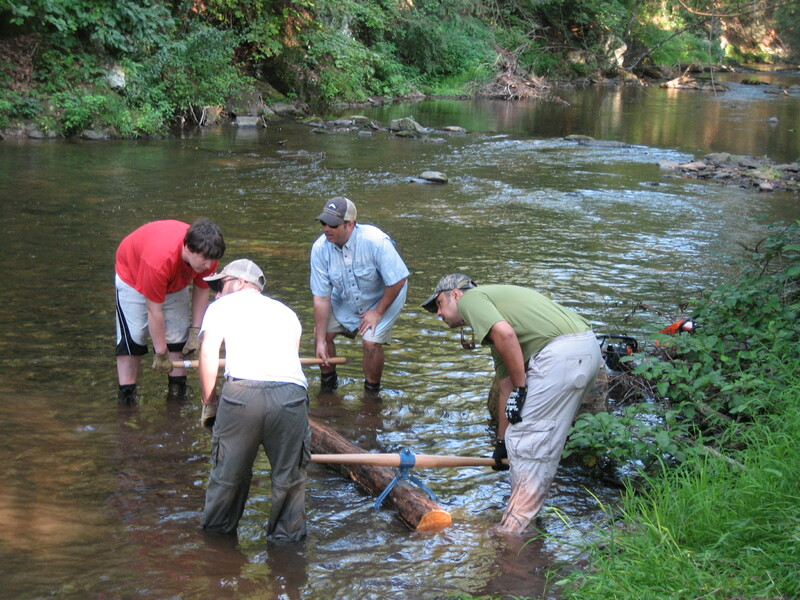 Much of the information contained in the plan was obtained through a study conducted under a Coldwater Heritage Partnership Grant from the PA Council of Trout Unlimited. 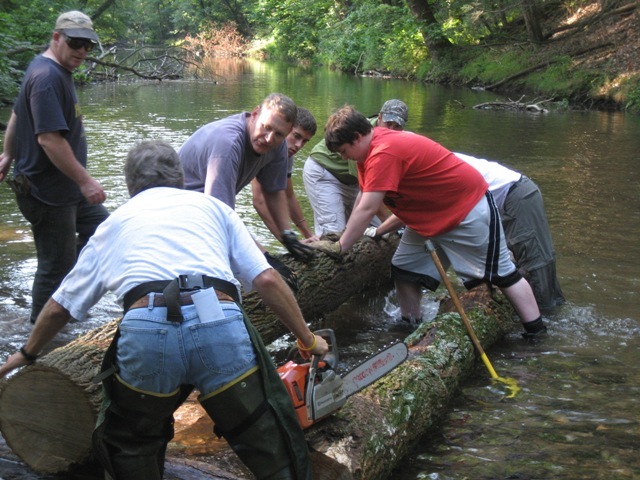 Nate Kepp (717-991-3882) is the stream steward.